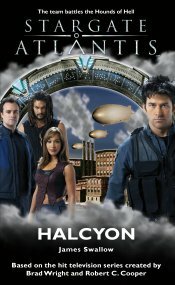 In their ongoing quest for new allies, Atlantis’s flagship team travel to Halcyon, a grim industrial world where the Wraith are no longer feared — they are hunted. Horrified by the brutality of Halcyon’s warlike people, Lieutenant Colonel John Sheppard soon becomes caught in the political machinations of Halcyon’s aristocracy. In a feudal society where strength means power, he realizes the nobles will stop at nothing to ensure victory over their rivals. 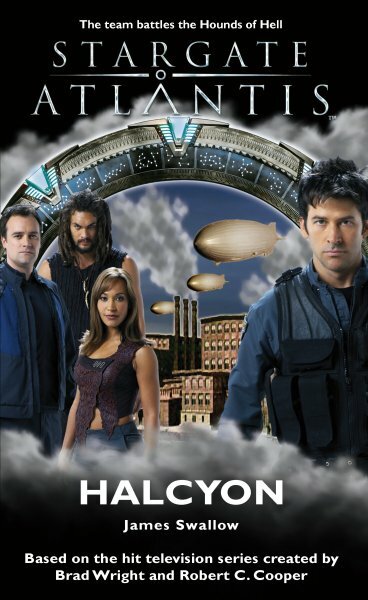 Meanwhile, Dr. Rodney McKay enlists the aid of the ruler’s daughter to investigate a powerful Ancient structure, but McKay’s scientific brilliance has aroused the interest of the planet’s most powerful man — a man with a problem he desperately needs McKay to solve. Teyla’s words were drowned out in a howling chorus of blaster bolts as the aliens opened up on the stone building from all sides.